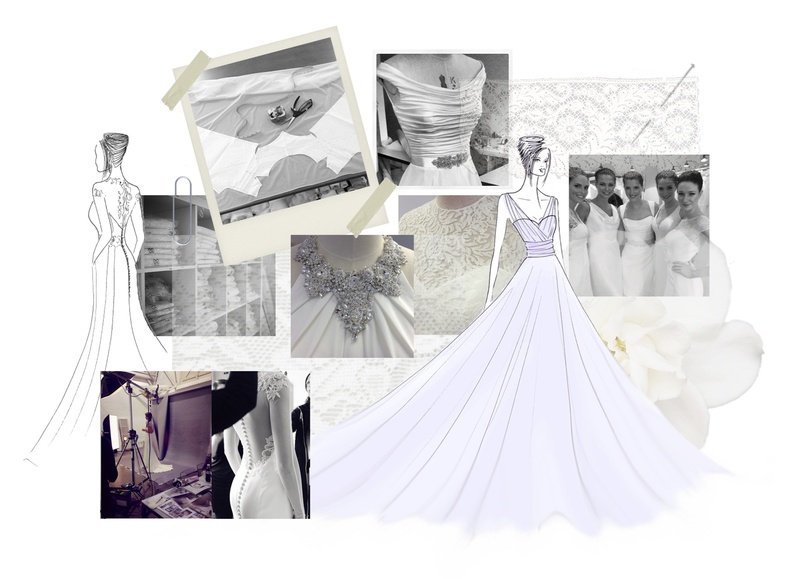 Ever wondered what the process behind commissioning an exquisitely-crafted wedding dress is? We asked award-winning couture bridal designer, Suzanne Neville – and she took us inside her studio in London’s Harrow-on-the-Hill to talk us through how it’s done. Suzanne – who, obviously, designs each dress, having established her label in 1991 after graduating from the London College of Fashion – employs around 20 pattern-cutters, machinists and hand–finishers, who create the garments from beginning to end using traditional techniques. 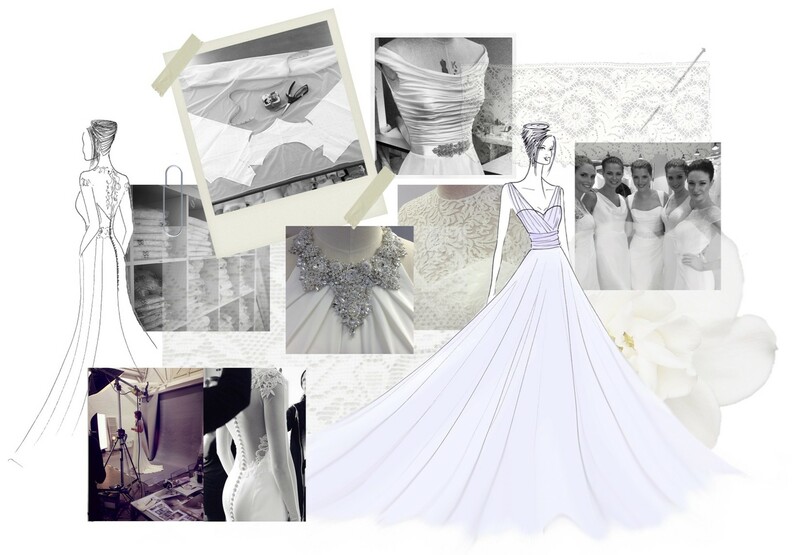 Once the bride has confirmed her style, usually at least six months prior to the wedding, the process begins.Ordering the fabric – think handmade French lace, Duchess satin and silk organza – comes first, as it can take months to arrive. The next stage is booking the fittings. There are four: one for measurements; then one for the trying of the toile (a prototype dress); then a fitting of the actual dress, cut from the correct fabric. Lastly, there’s a final try-on. This stage lasts for the final three months in the lead up to the wedding. Tick tock. Every bride who orders her dress though the flagship store in Knightsbridge will personally meet with Suzanne for their toile fitting. 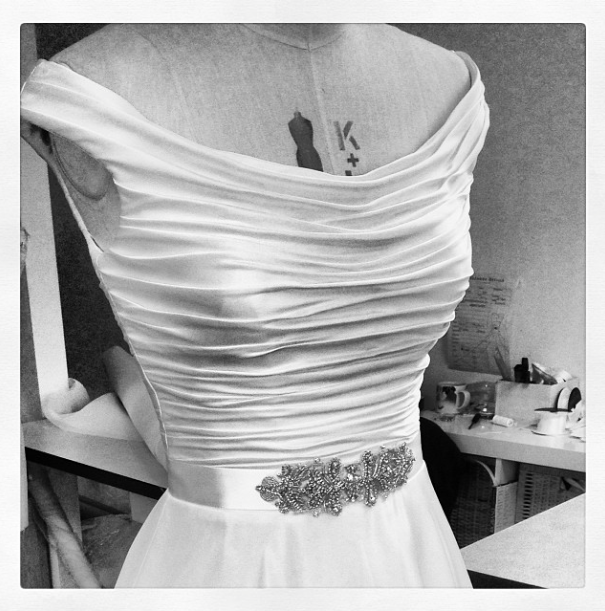 This is where a mock-up of the dress is fitted to the bride. 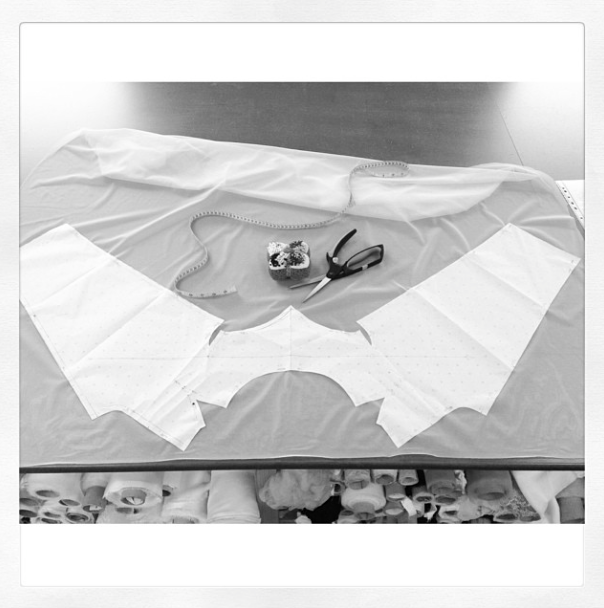 At this stage, necklines are tweaked, the fit perfected, and bespoke patterns created. Next, the fabric is cut and the dress prepared for the first fabric fitting. 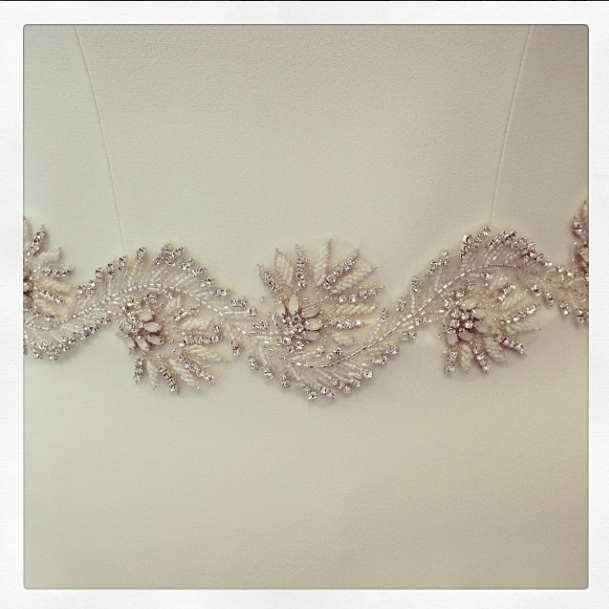 At this stage, often it’s just the hem that needs to be pinned; the bride will need her shoes for this. The minor alterations are made, and there you have it: one beautiful, bespoke Suzanne Neville creation, ready for its bride.